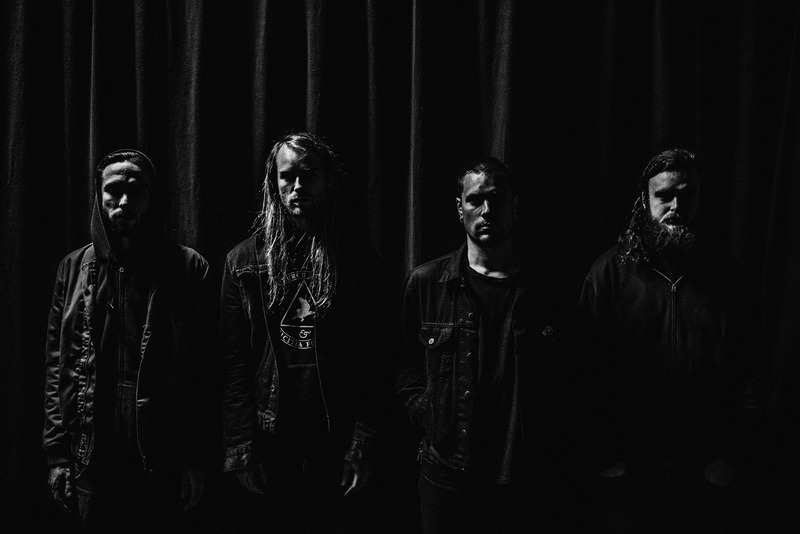 Upon the first violent contact, it’s as if Amenra’s Levy Seynaeve and The Black Heart Rebellion’s Tim Bryon were able to extract the very core essence of those bands and condense it all in a thick, impenetrable black ball of straightforward hatred and aggression. It’s what Hessian does to you, on their fantastic debut album ‘Manégarmr’, on their other smaller releases, and especially on stage, where they turn into feral animals – they tear at you with the immediate, urgent savagery of punk and the instantly crushing weight of the most basic metal. As with all the residents of the Church Of Ra, however, there is much more than meets the eye here. Get past the initial glare of the Amenra/TBHR references and there’s still Bram Coussement’s angst-ridden vocal torment to contend with and the fathomless low-end of the bass formerly handled by Kenneth Vanhoutte until a few months ago when Oathbreaker’s Gilles Demolder took his place. There’s depth, a dark and hopeless depth that ensures none of the violence perpetrated by Hessian is gratuitous, or indeed fleeting – the wounds they open will not close anytime soon, if ever. Ultimate proof? Hessian’s contributed song to this particular release is an imposing, intimidating eleven minutes long (more precisely, 11:11, as if there is some hidden numerical significance waiting to be discovered). Some of their peers and acts frequently mentioned in reviews and comments about their work have albums almost that long, and even the longest song on ‘Manégarmr’ falls just short of the four minute mark. Hessian were, however, able to shape shift and prolong their excruciating pain, seemingly poisoned by the drawn-out malice of Primitive Man oozing from the other side of the vinyl, managing to go where most would fear to even look. Go meet them in that difficult, obscure place. You won’t regret the scars.